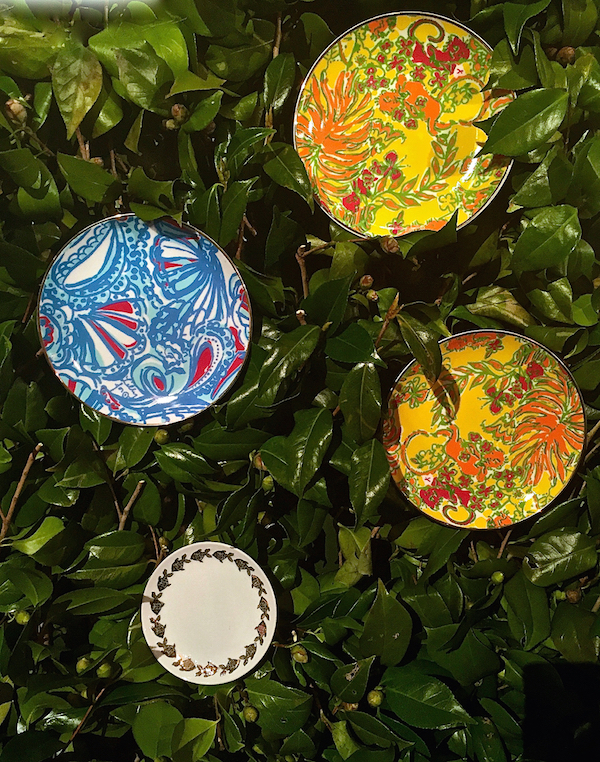 Yesterday evening, in the iconic Pool Room of the Four Seasons Restaurant, Target announced their latest design collaboration with another iconic American brand. 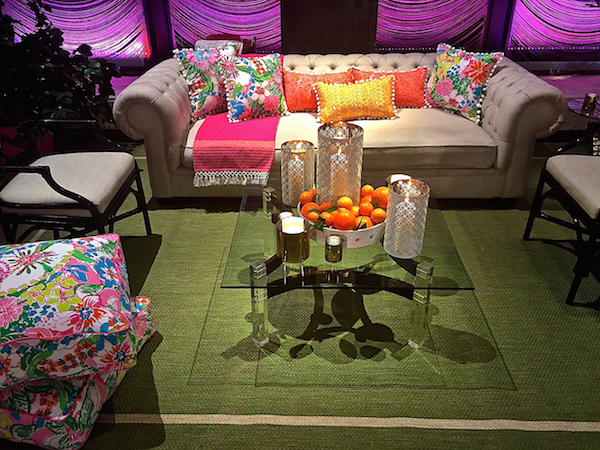 Transforming the space into a tropical resort, the room was brimming with the colorful and ebullient prints of the new Lilly Pulitzer for Target products. 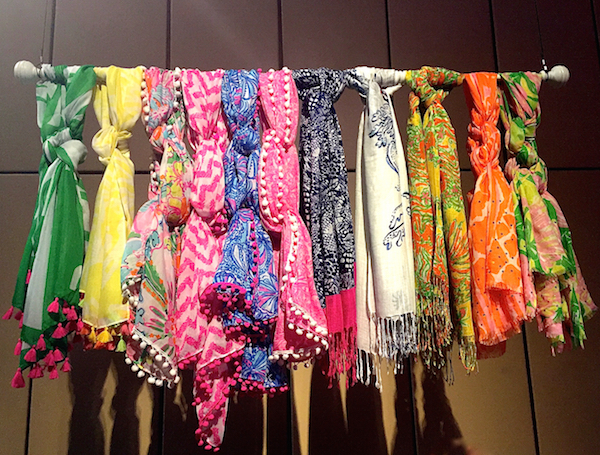 and even beach and poolside essentials. 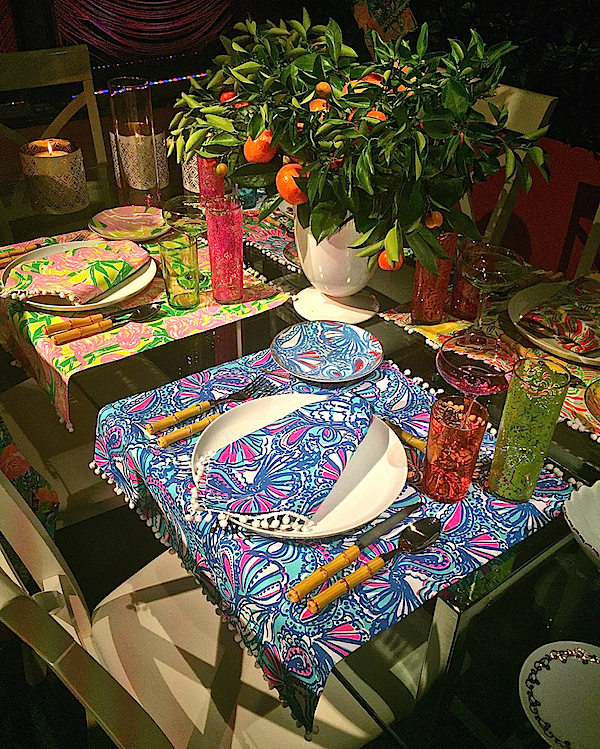 The home category is also broad, offering options for full-on Lilly pattern piling to just a hint of the heritage. 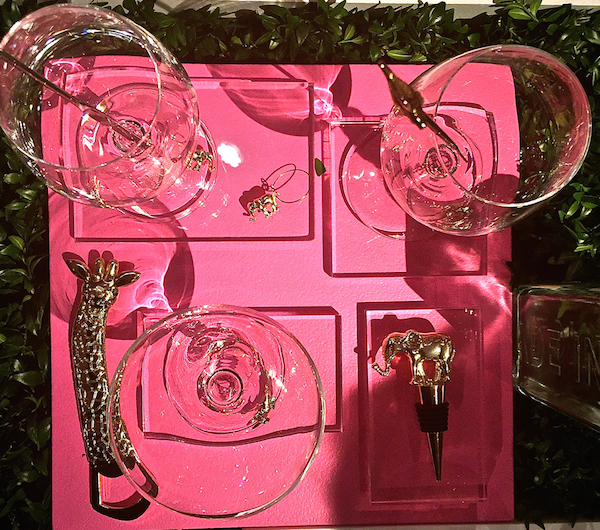 to fun bar accessories perfect for vacation and summer hostess gifts. 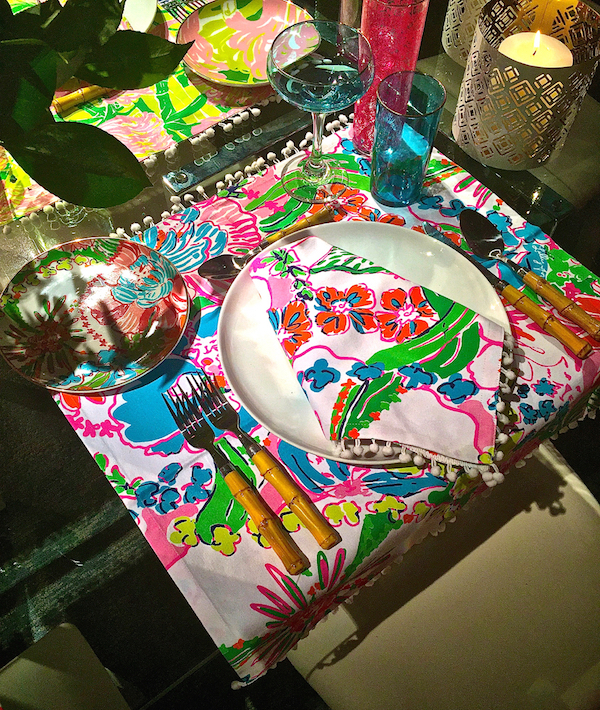 And the fun continues to tabletop where the exuberant prints are fashioned into napkins with charming mini pom poms. 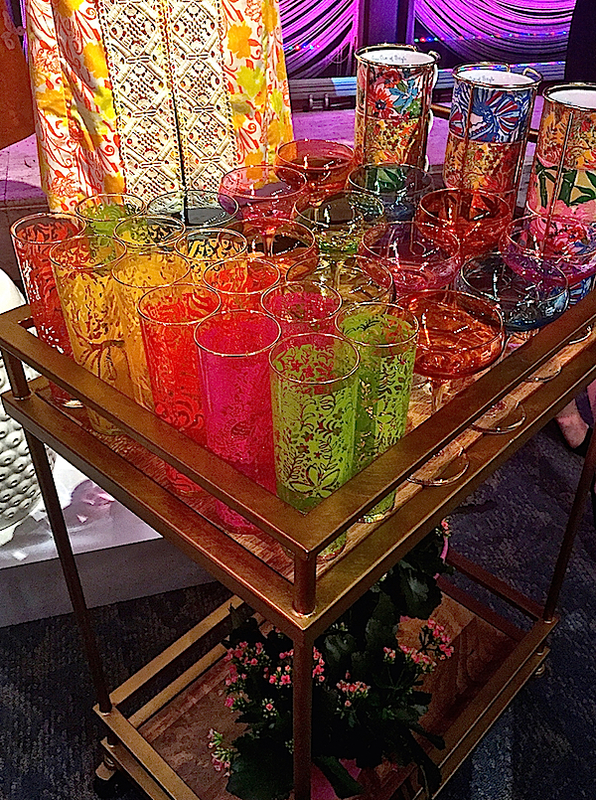 with the patterned glassware with hints of a Moroccan sensibility and the plates in both colorful and cheerful nature motif rimmed versions. So mark your calendars. 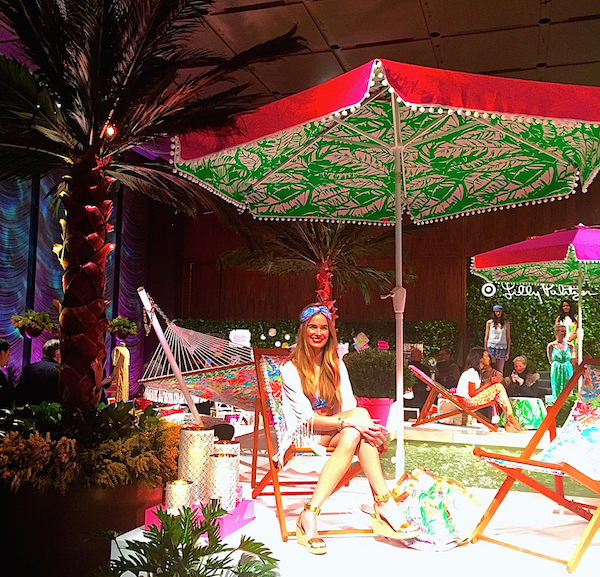 The bold and colorful world of Lilly Pulitzer for Target is coming on April 19th. 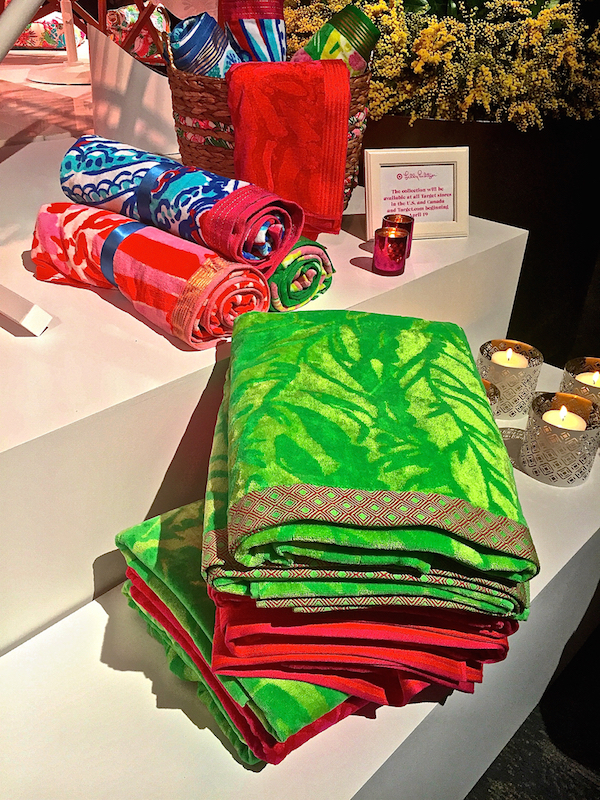 This entry posted in design, fashion, gifts, interior design. 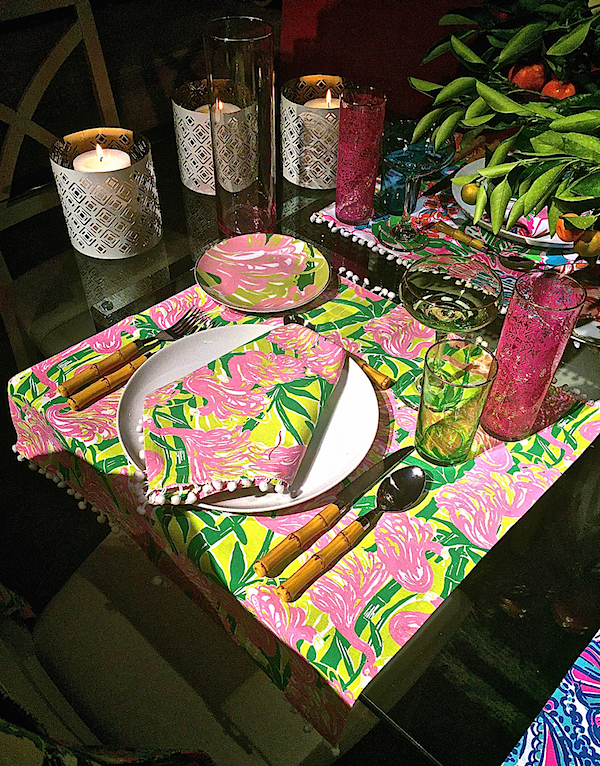 Entry Tags: Design, fashion, Home, Lilly Pulitzer, Lilly Pulitzer for Target, Target Bookmark the permalink. Lots of cute things here! 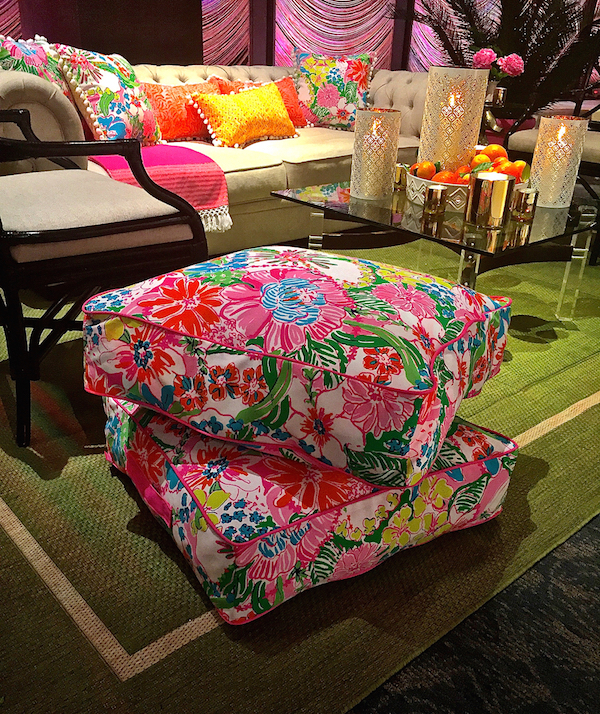 I think the floor pillows and pom-pom trimmed throw pillows are fabulous and I will be looking for the straw tote with the drawstring fabric top. 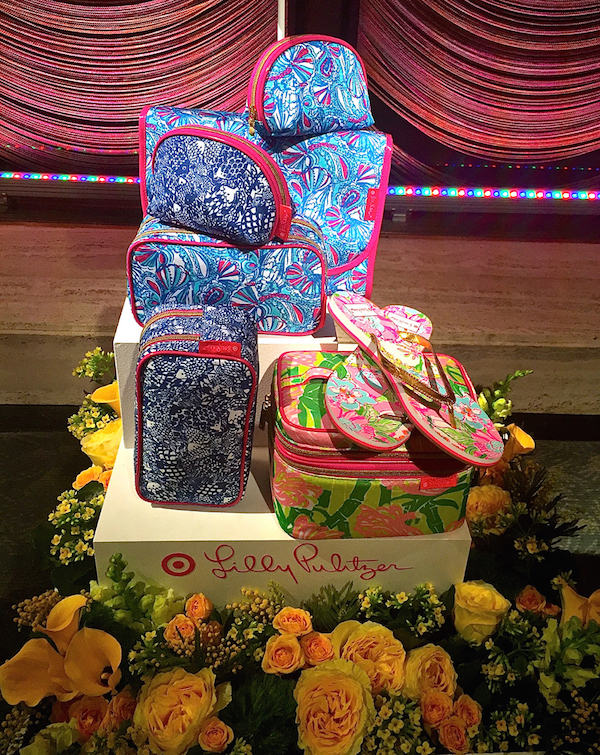 Only sorry my girls are grown – the little bikini and espadrilles are adorable – but I have a young niece! Great post – as always. 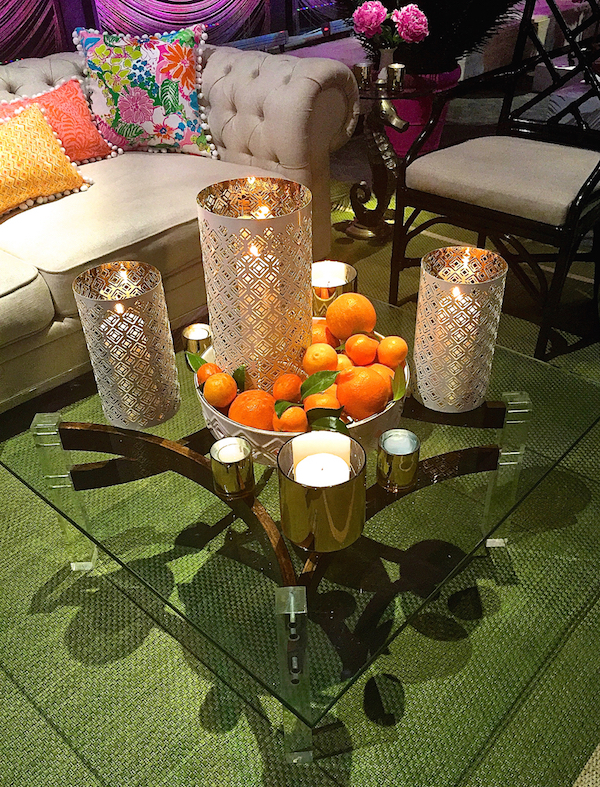 Question….who makes the square lucite/glass coffee table and what appears to be a “gold” finished bar cart? Thanks! Now THAT’S a launch! Great to see the a lifestyle story hit high notes across the board. Breath of fresh air! 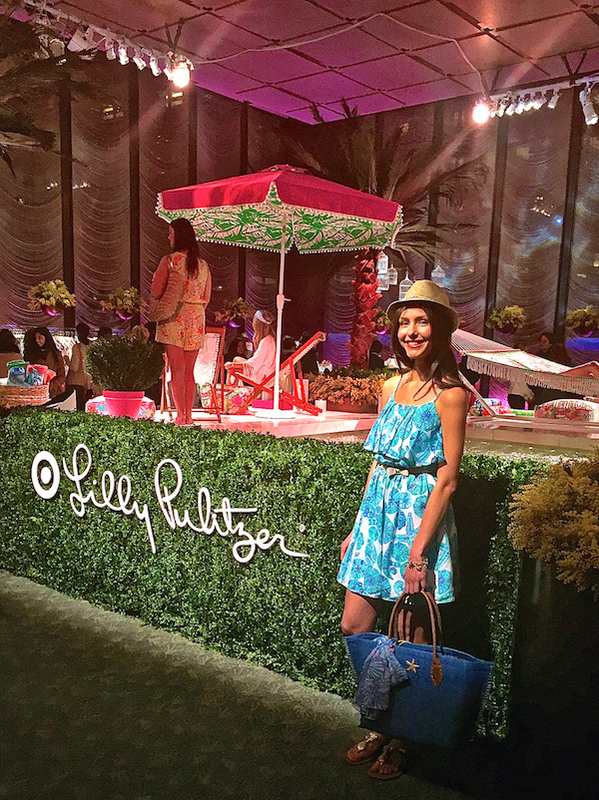 Thanks for inspiring post Stacey and good news for Lily fans. 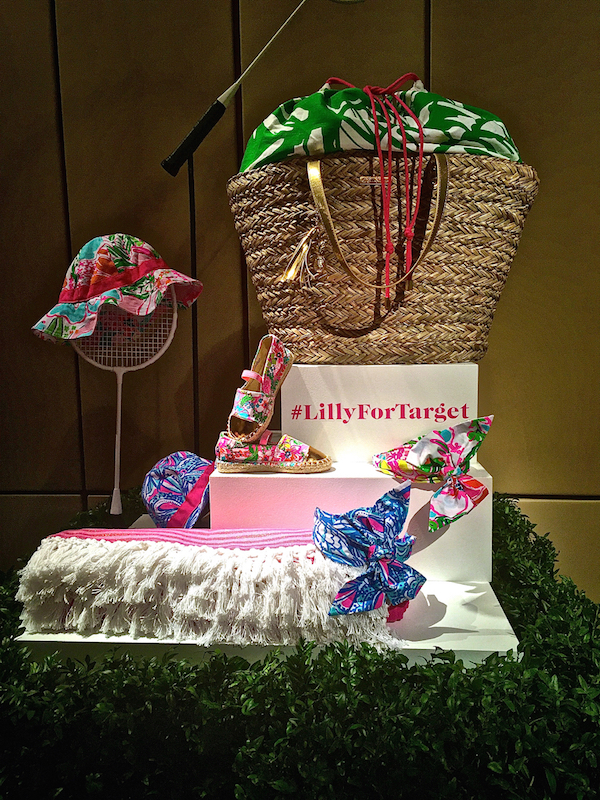 Isn’t is funny that a collection for Target seems to signify your brand has made it? Love Target and their flash collections! 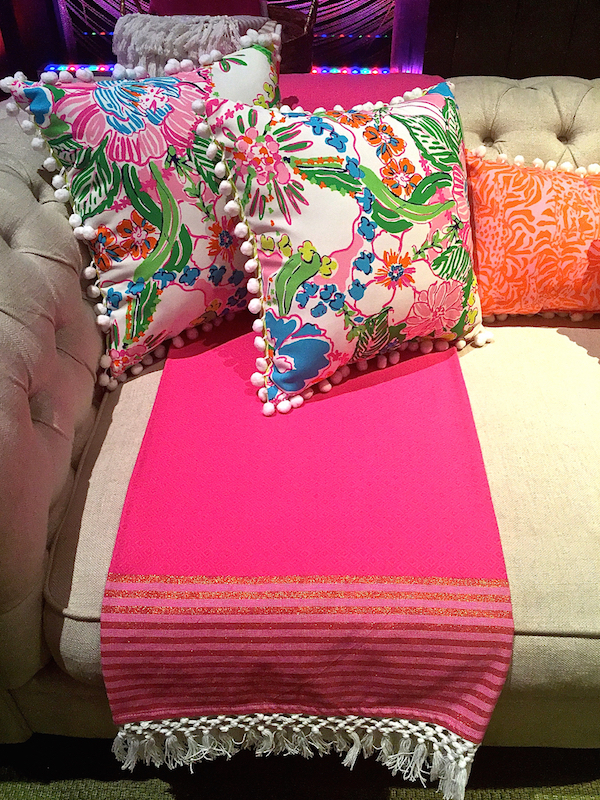 Definitely have to examine those orange and pink pom pom pillows in person! I have already put April 19th on my calendar–Yipee!!! This is just the colorful inspiration I need on a dreary, raw winter day as I “try” to get excited about designing landscape plans for upcoming spring projects! Thank you for the fabulous preview. 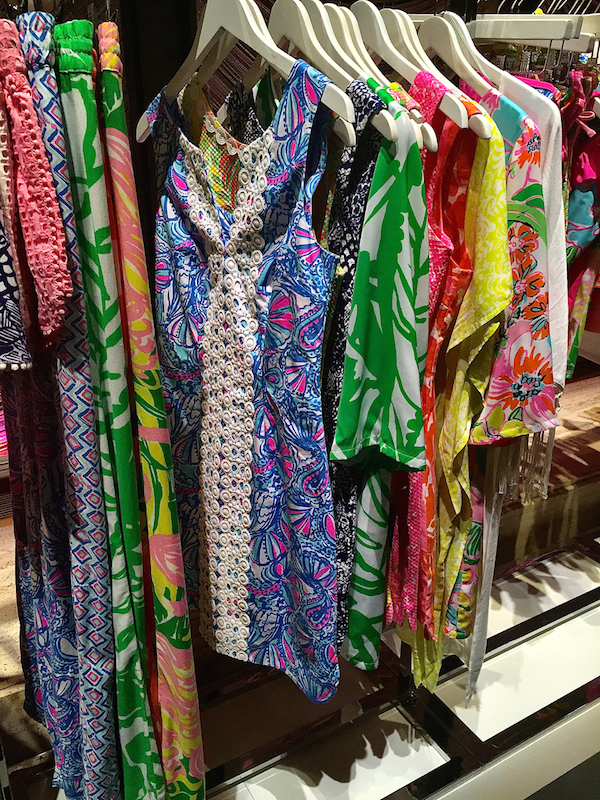 April will be filled with color! Target comes through again. 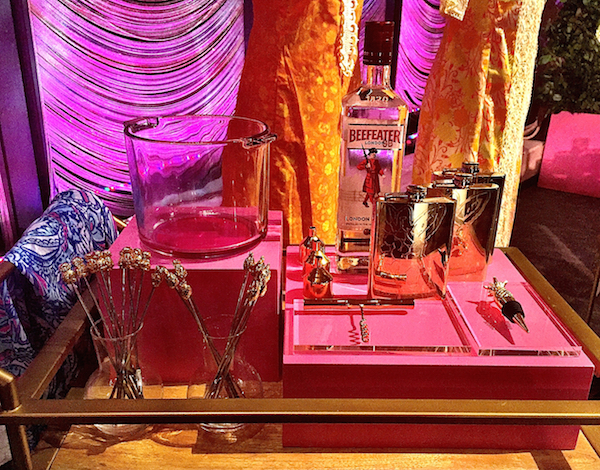 Stacey, well we just know all of this collection is going to fly off the shelves! 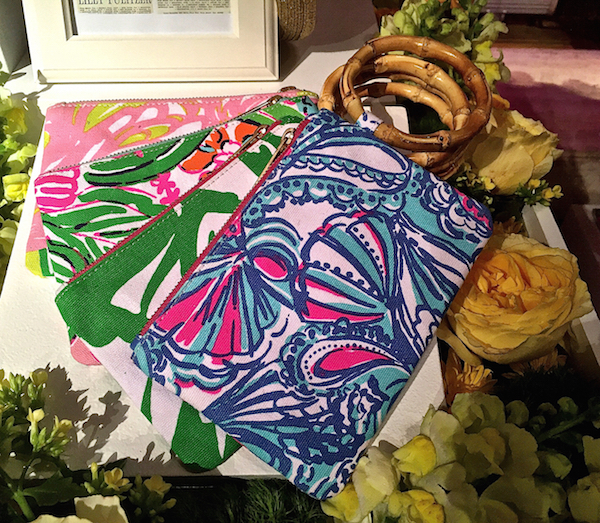 A very smart move for Lily Pulitzer brand!! Oh, this is great! I can’t wait to visit Target now! 80 queries in 0.451 seconds.